Bronzing, contouring and highlighting are the supposed rage nowadays in the makeup field. You log in to instagram and every second youtuber and makeup guru on Instagram is frolicking away with his/her share of excessively chiselled and crazy highlighted makeup looks. But going with the trend, all of us at some point have felt the need to try our hand at the much hyped makeup techniques. 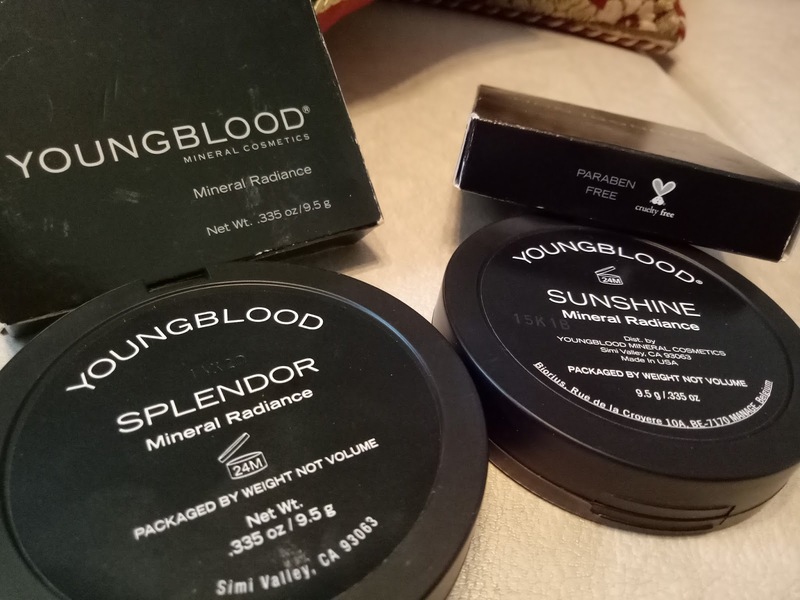 So we at Beauty and Beyond finally decided to try our hands at the mineral bronzer and highlighter from the house of Youngblood mineral cosmetics and here are our honest opinions about the same. Show off a healthy summer glow all year long with our mineral bronzer. You will love its mélange of colours that are reminiscent of a tropical vacation; use them together on your face and body, or individually as a blush, highlighter or contour. The bronzer/highlighter comes in a solid satin finish black compact casing which has a mirror on one end and the pan with the humungous amount of product on the other end. It however does not come with any applicator. Also the fact that all the shades from the range come packaged in the same black casing makes it really difficult and time consuming to pick up the right one while doing your makeup (that is if you own more than one shade, just like I do). But any which ways, the packaging is slick, not too heavy and sturdy, which is a win. Each bronzer/highlighter retails for $43 for 9.5 grams of product. Though the price is a bit steep but the quantity you get in the pan is huge. Also, the product is vegan and gluten free, for those who care. Currently I own two shades from the mineral radiance range, and I chose a bronzer (SUNSHINE) and a pink-champagne highlighter (SPLENDOR) from the same. 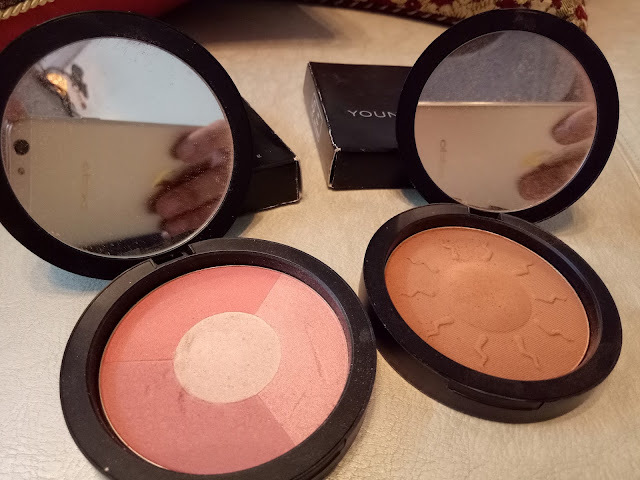 The range has a total of four shades, three of which are multi-use highlighting and bronzing wheels, while the shade SUNSHINE is a pure matte medium brown bronzing shade. 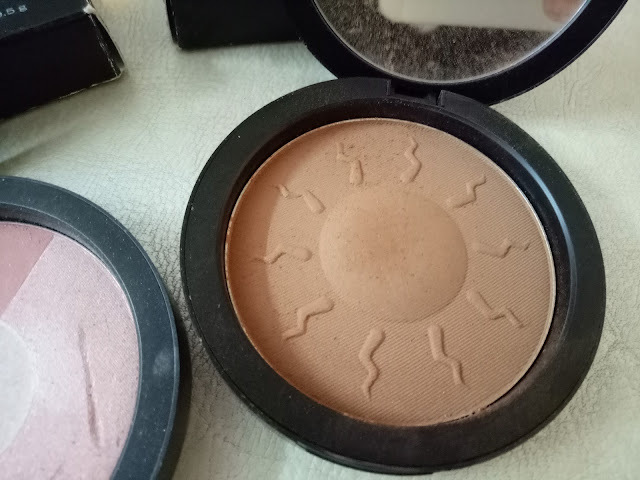 The shade SUNSHINE would be the perfect contour for really pale girls, and can be used as warm toned bronzer for Indian skin tones. However, I would suggest you use a cool toned contour instead of this one, it is lovely as a bronzer though. The shade SPLENDOR on the other hand is a really pretty, and really wearable champagne gold highlight with hints of pink in it. 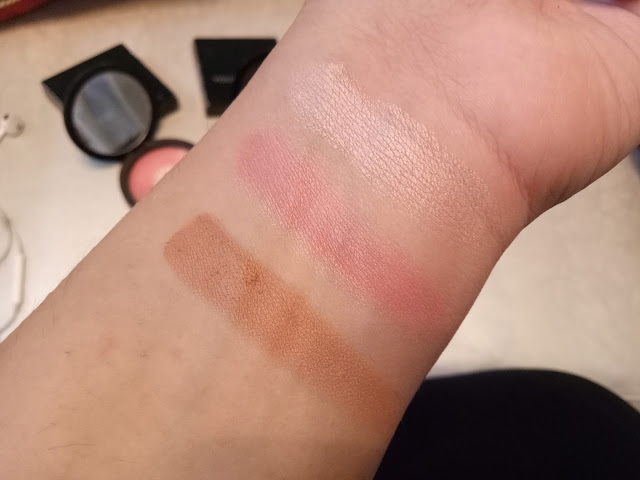 On Indian skin tones, it turns out a really pretty champagne-y highlighter; and although it is really pale looking, it looks especially flattering on duskier skin tones for reasons unknown to me. 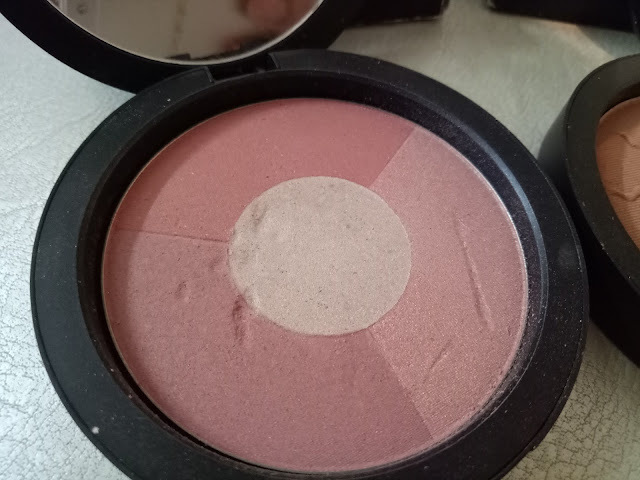 And though it looks quite pink in the pan, it is a champagne toned highlighter on the skin. Both the shades have a really good pigmentation. The shade Sunshine turns out really pigmented and needs to be tackled with a lot of care. 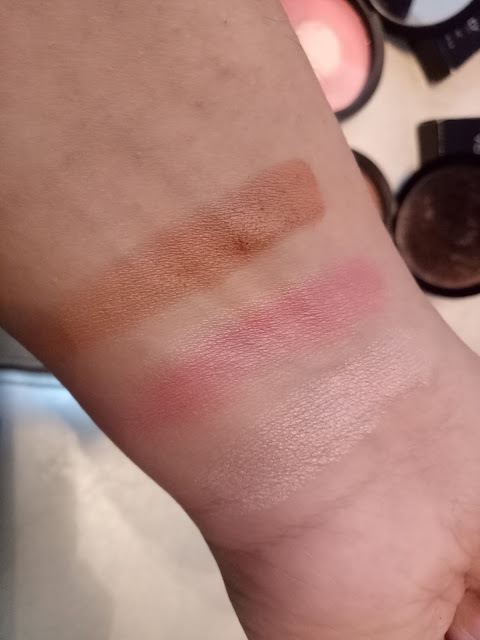 And about the shade Splendor, it appears to have a medium pigment power when swatched, but if you swirl the brush twice or thrice and build it up, you can get a really strong highlight with this one. But if used sparingly, it acts as a really pretty everyday highlight. Both the shades apply beautifully and stay on for a good 5-6 hours with minor fading. But they do not look blotchy or streaky. 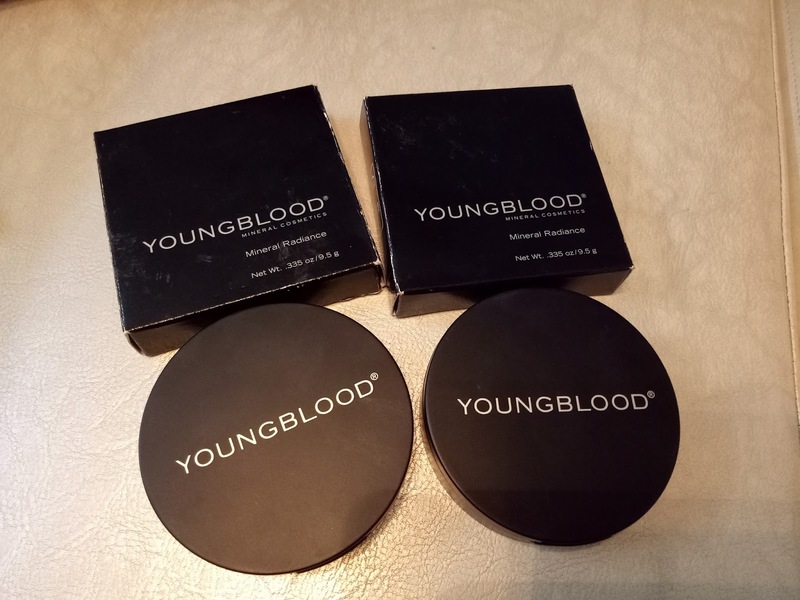 The only two issues I have felt are that firstly, the highlighter starts making your pores look a little enlarged after 3-4 hours; and secondly, the bronzer if not used with a light hand can go on really patchy and sit there like a big blob of colour. Though it is very blendable so it can be taken care of! 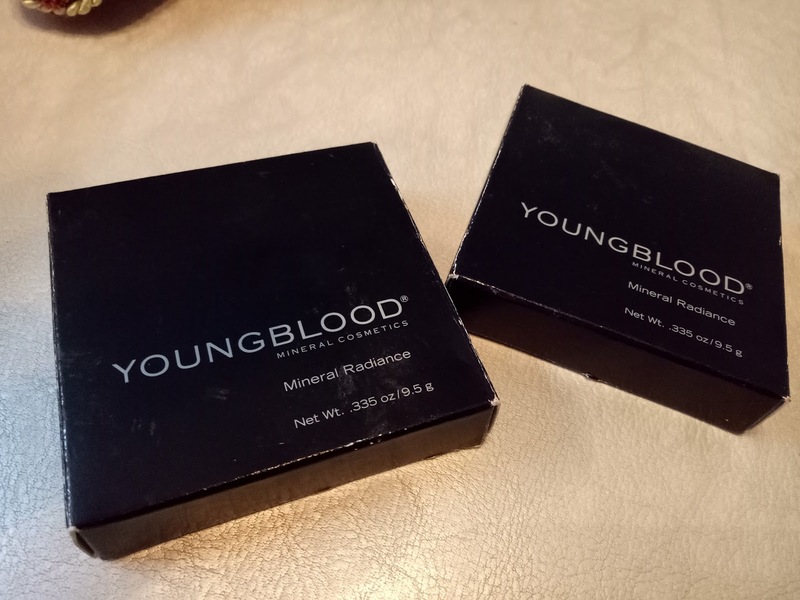 For 43$, this is a little expensive product but it is totally worth it if you look at the kind of pigment and staying power it gives. 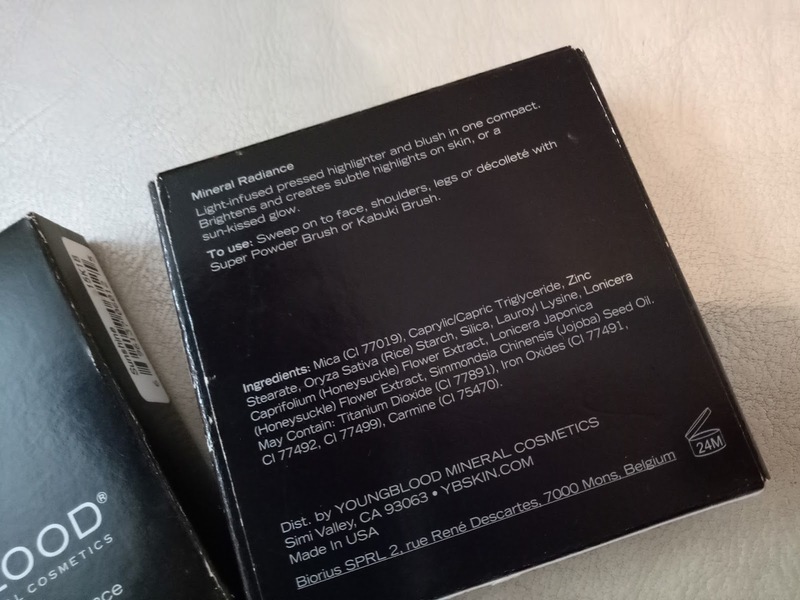 I can’t say if I’ll repurchase it but if I already own it, I would be using it almost regularly as it works great on a wide spectrum of skin tones. I use it every time I do makeup on others. I personally love both the highlighter and the bronzer but only if used sparingly and cautiously.